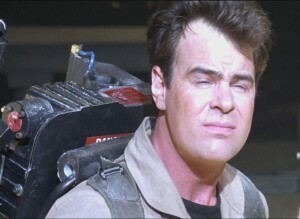 The Ion Arm is the long protruding piece from the upper left corner of the Proton Pack. 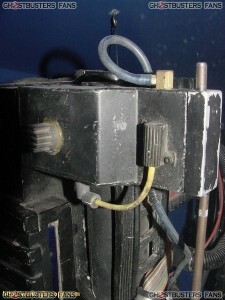 It is mounted on the EDA and is an add-on piece from the overall Proton Pack "shell". On the Ion Arm are three resistors; the two Dale Resistors (RH-50 & PH-25), and a Pacific 25W resistor. 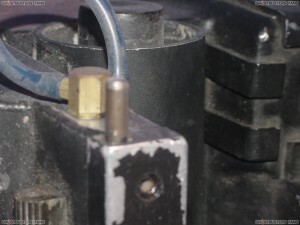 At the end of the Ion Arm is the "Ion Arm Cap", a machined block of aluminum with two copper rods, a long one on the bottom and a short one on top. This part differs from one movie to the next: in the first movie a square Clippard elbow was installed on top of it, and the whole part, rods and all, was painted black. 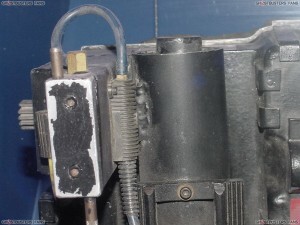 In the second movie, there was no Clippard (a hex fitting was installed on the Ion Arm itself) and only the block was painted and heavily weathered to expose the metal.